Ladies 3.6 oz., 65% polyester/35% ring-spun USA cotton heather grey tee. 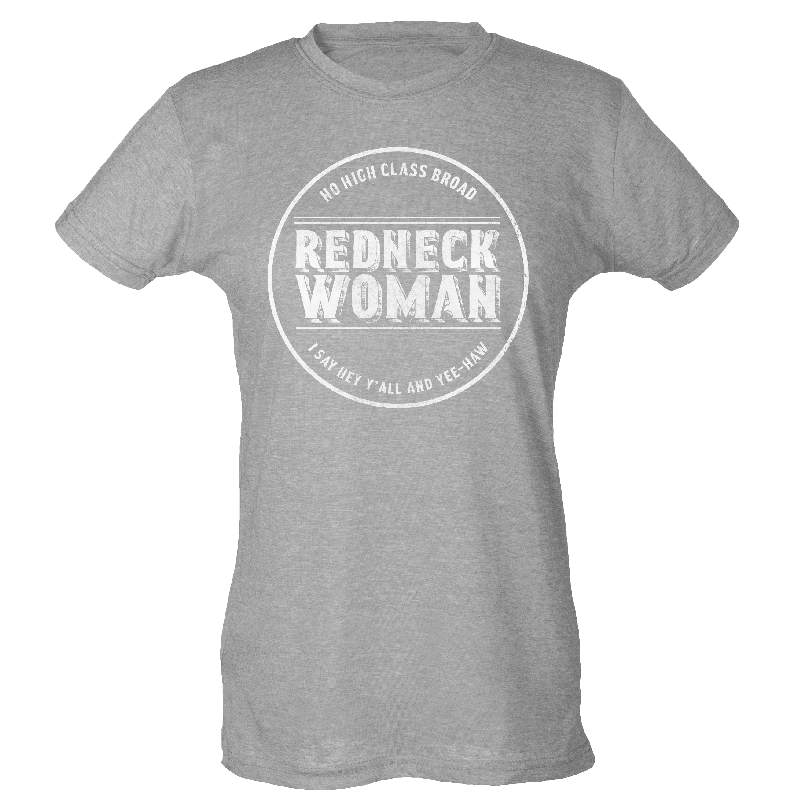 Redneck Woman design on the front. © 2018 Gretchen Wilson. All Rights Reserved.